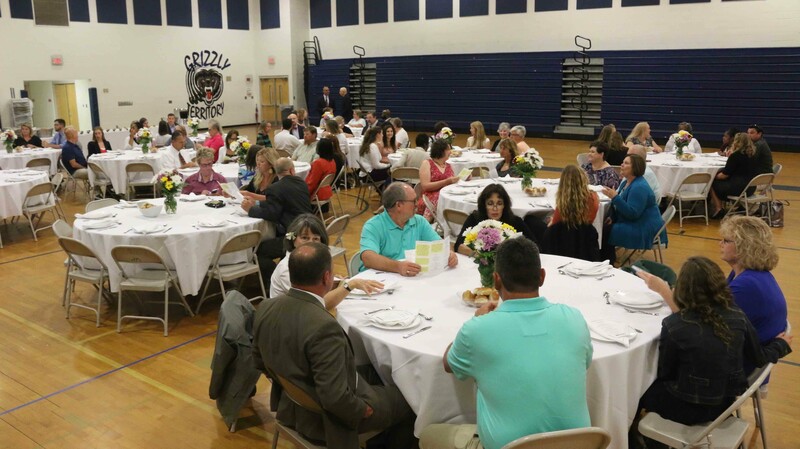 PENDER COUNTY — Pender County Schools recognized its Teacher of the Year, Principal of the Year, AP of the Year, and Teachers of Promise during the Pender County Awards, held May 24 at Cape Fear Middle School. The Teacher of the Year for 2017-18 is Miranda Wells, Health Sciences teacher at Topsail High School. Mrs. Wells also serves as HOSA advisor and CTE Department Chair at Topsail High. A graduate of North Carolina State University, she will complete her 18th year of teaching in Pender County in June. The Principal of the Year is Christopher Madden, Principal at Pender High School. Mr. Madden has served as a teacher, assistant principal, and principal throughout his 10-year career in Pender County. He has earned master’s degrees from the University of North Carolina Wilmington and Rowan University and also holds a bachelor’s degree from UNCW. The district’s AP of the Year is Melissa Wilson, who serves as Assistant Principal at North Topsail Elementary School. During her 12-year career in Pender County, Mrs. Wilson has served as a behavior support coach, Safe Schools/Healthy Students Coordinator, and Assistant Principal. She holds both a bachelor’s degree and master’s degree from UNCW. Pender County Schools also recognized four beginning teachers as Teachers of Promise: Kinsey Carder, Malpass Corner Elementary; Chicquita Cromartie, Pre-K; April Jenkins, Heide Trask High; and Madison Page, Burgaw Elementary. 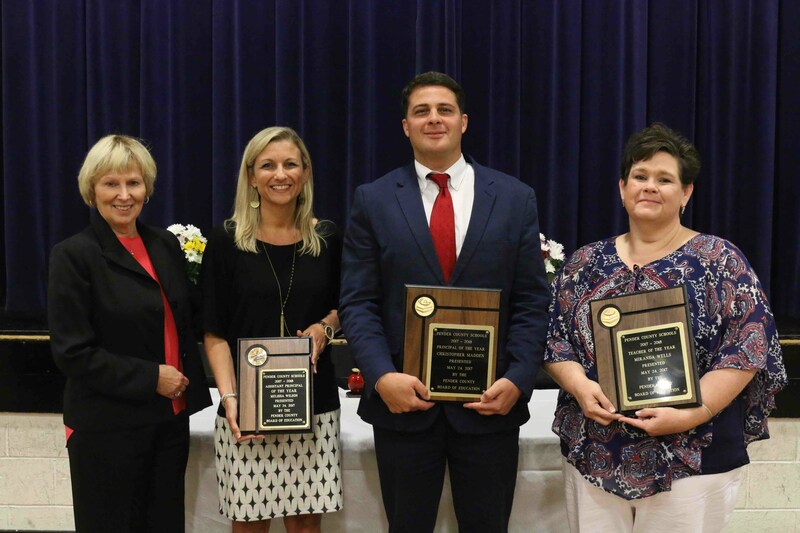 Superintendent Dr. Terri Cobb with 2016-17 AP of the Year Melissa Wilson, Principal of the Year Chris Madden and Teacher of the Year Miranda Wells. 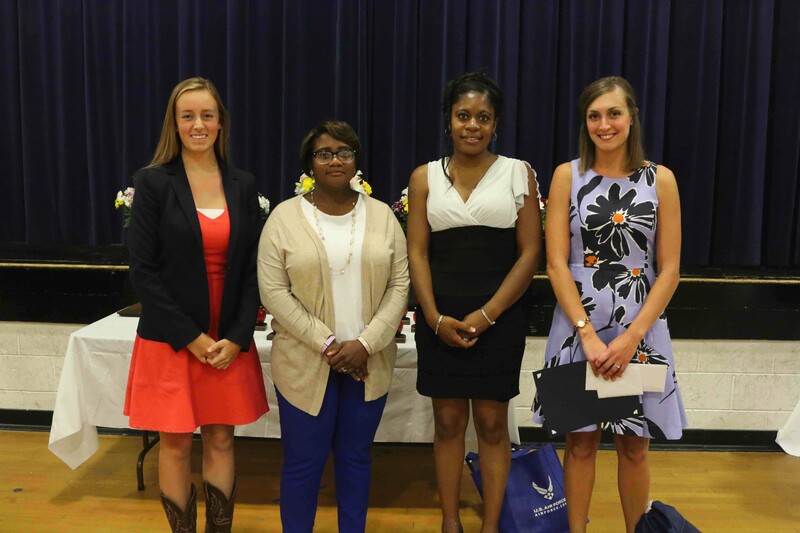 Pender County Schools Teachers of Promise Madison Page, April Jenkins, Chicquita Cromartie, and Kinsey Carder.